Part 2 of 3 part series. When families start to look for a dog they often hear sage advice to “do your homework on dogs first – research breeds you think you want to make sure they are a good fit for you and your family”. It sounds like fantastic advice, right? kind of shepherd is in the mix? What the lab part of the mix an American lab, an English lab, or is the lab mix mixed with another breed as well? 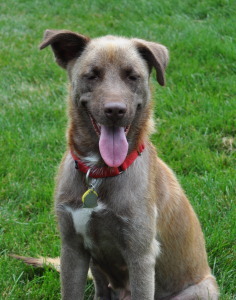 What if the vet who examined the “lab/shepherd mix” for the rescue guessed wrong all together? (spoiled alert: not many rescues or shelters do DNA tests to determine the exact “mix” of a dog, vets use their experience, judgment, and knowledge of breeds to assign a breed to a dog). But what if they did? Wouldn’t a DNA test solve the riddle of what breed(s) the dog is? Well, sort of, maybe? for dogs, against a newer DNA test put out by Embark. The article can be found here: http://www.patriciamcconnell.com/theotherendoftheleash/whos-your-momma. The most prominent breed identified in both sets of results was the same, the remaining breeds were completely different. In the case of Dr. McConnell’s article, about 1/3 of the dog was a Siberian Husky (maybe 1/3 in both tests – this wasn’t completely clear in the results presented), the other 2/3 of the dog was different breeds. The article goes on to offer explanations from the manufacturers about why and how they arrived at their results if you want to learn more. Note: this post is in no way intended to be an indictment of DNA test manufacturers. DNA testing for dogs is new and evolving science that will no doubt improve over time. So the conundrum for would-be dog adopters remains: if I am supposed to do my homework and research breeds, but I can’t be certain that breed listed on the adoption paperwork matches the dog DNA inside, what should I do? Go with the same breed you had last time? As a dog trainer, I often get questions from people about how to select a dog. My best advice is not technical or flashy. The first thing I suggest is that people don’t follow the strategy of “I want a that I grew up with, or just had to put to sleep at 15, or that my best friend has so I get a dog just like him/her”. Thinking that if you adopt a specific breed because you had a great experience with this breed in the past can be a disaster waiting to happen. Why? Because dogs are individuals with personalities and every dog – even dogs of the same breed – is unique. If you have just lost a dog this is ever more important. Trying to replace your dog who just died with the same breed in hopes that it will be the same dog usually results in disappointment and frustration. So again, what is a would-be adopter to do? Instead of focusing on the breed of a dog you loved in the past, focus on what the dog did that you loved. (If this is your first dog, think about what characters and personality you want in your 1st dog). How much energy did he have? How old was he when you met him and how did his exercise needs change over time? (Your 14-year golden that just died wasn’t always a couch potato – I bet he had a lot of pep in his step for the majority of his life – remember that part too!) Do you like to hike with your dog? Do you like to take your dog to public places? Do you want a social butterfly of a dog, or one who is content to hang back and be calm? Do you want a dog that will play fetch for hours with you? A dog you can take swimming? Do you want to take your dog to friends’ houses? To be able to board your dog at a daycare when you go on a cruise next year? Do you want to spend a lot of time training and exercising your dog, or would you prefer to just do the basics for training and have a family dog? Do you have the time to house train a puppy (meaning you or someone is home the majoring of the day)? By honestly answering all of these questions honestly, and then interviewing potential dogs and adoption organizations, you just may find the dog of your dreams who is a completely different breed than you thought you wanted, and be happier than you imagined. Reputable rescues and shelters will help you find dogs who are a good fit, and they will allow you to spend as much time with a dog as you need to make your selection (don’t expect them to “hold” a dog for you though, most will not because more than half of the “holds” fall through, leaving dogs in kennels and foster homes longer than necessary). Take your time, meet lots of potential dogs, and go with instinct if you see something you do or don’t like in potential dog for your family. Your are making a commitment for the life of the dog you are bringing home – it may take a while to find “the one”, but it is time well spent. Our next post will provide specific tips and suggestions for working with rescues to adopt the dog of your dreams.